Netflix has said that it won't remove footage of the Lac-Mégantic disaster that was used as a clip in the fictional film Bird Box — but to do so would be easy and a "no-brainer," according to an academic and expert in popular culture. "If it was a movie based on this event of 2013, I can see many situations where using news coverage and actual footage would be appropriate, even if it were fictionalized and dramatized," said Robert Thompson, director of the Bleier Center for Television and Popular Culture at Syracuse University. However, he told The Current's Anna Maria Tremonti that to "take pictures of a town exploding and people who have died … as a way to plug in something that looks like an apocalyptic event, I think that's something entirely different." 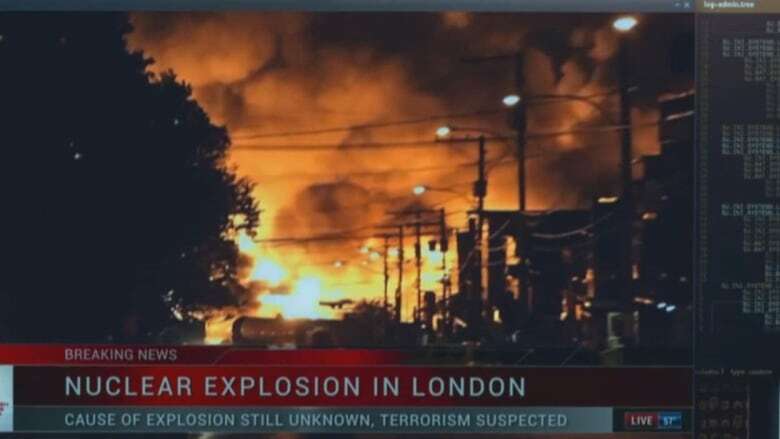 It emerged this week that video footage from the 2013 Lac-Mégantic rail disaster — in which 47 people died — had been used in the Netflix science fiction show Travelers, as well as in the film Bird Box. Carrie Mudd, president of Toronto-based Peacock Alley Entertainment Inc., which makes Travelers, said her company acquired the footage from a stock image vendor called Pond 5. Peacock Alley Entertainment Inc. wasn't "aware of its specific source," Mudd told The Canadian Press. In a statement to The Current, Mudd said "we sincerely apologize and had no intention to dishonour the tragic events of 2013." 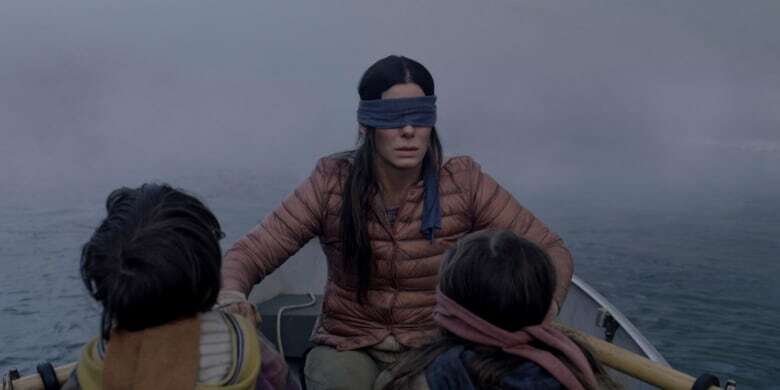 While Netflix has said the footage will stay in Bird Box, it is being removed from Travelers. Thompson said that images and recordings of certain globally important events can acquire a "sacred status." "It's not as though you're not going to show them or play them — we've all seen the Challenger blow up, played over and over and over when that story happened," he said. "However, I think the context in which one uses those has to be looked at very carefully ... from an ethical standard." With files from The Canadian Press. Written by Padraig Moran. Produced by Howard Goldenthal.